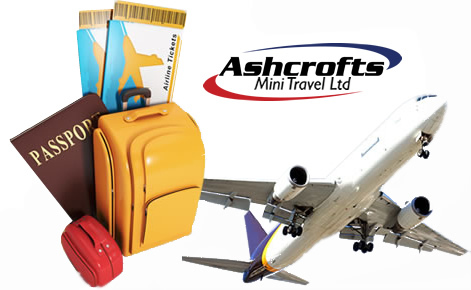 Airport Transfers - Ashcrofts Mini Travel - Request A Quote Now. Airport minibuses in Wigan, Leigh, Warrington and surrounding areas are our speciality at Ashcrofts Mini Travel. Year on year we are getting more people travelling to the Airport by taxi. They find it is the preferred option to parking your car and often the cheaper option when you book with us. Customers can relax knowing that we never let our customers down. We are always at the airport when they get outside. You don’t need to wait for shuttlebuses to car parks, and don’t have to worry about finding your car on the return. Take a look at our Vehicles page for our gallery. We are rarely beaten on price or customer service on airport transfers. Call us today to book early. Please also note our prices include all parking charges. At Ashcrofts we do the job as it should be done and only collect passengers from the authorised collection points. Our Drivers do not pick you up from the side of the road or petrol stations. Call the office or request a quote online with brief details of passenger numbers and pick up points. You will be given a fixed quote for your travel needs. Before you travel we give every customer a courtesy call or company text message to confirm details and remind you of your pick up time. On the day of travel the driver will take you direct to your required terminal. We will also ask you to check and sign a return details confirmation slip with all your return details on. You will be given a card with our contact details, on the reverse of this is directions to all terminal collection points. On The day of your return we monitor your flight in the office and in vehicles so we can spot any delays or any flights landing early. One of our Drivers will be waiting for you when you come out of the airport to take you home. The short stay car park directly opposite the terminal, walk in the car park under the glass bridge and we will be in the car park on the left. Walk out of the terminal and turn right, we will be in the overweight car park directly opposite BUS STAND A. Drop off and Collection Lay by outside the terminal, we have limited waiting time here and have to circle around the block. Hail the driver down when you see him. All Vehicles have “Ashcrofts Mini Travel” on them. The driver may try to call you if you have been a while, please ensure you provide us with a mobile number and turn it on when you land. There is no need to call when you land as we have already been monitoring your flight.